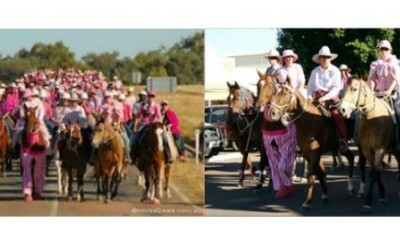 Please click here to visit the Australian Stockman Hall of Fame website to read the rest of the poem and check out the photos from the wonderful weekend raising money for the NBCF. Horsemen extraordinaire Guy McLean and Carlos Tabernaberri are generously donating great prizes for our first Online Brumby Horse Show to be held later this year. That means that some lucky ABHR members - and their Brumbies - will benefit from the experience, character and wisdom that is contained in the DVD’s and books that these two great horsemen are generously giving us as prizes. Carlos is also a great supporter of Brumbies and in late October this year, he will be holding a clinic at Save the Brumbies’ Mountain Thyme Brumby Sanctuary near Bellingen on the NSW Mid-North Coast. While the clinic is open to all horses, Jan Carter of Save the Brumbies is particularly keen to promote the clinic for re-homed Brumbies. 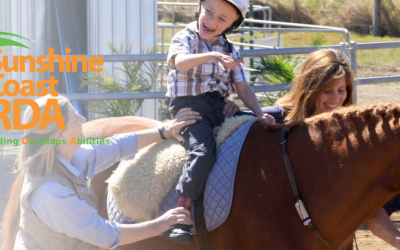 You can contact Save the Brumbies via our Links page if you are interested in the clinic. To receive more information, please email Sara Vuori ([email protected]). Warrenbri Romeo’s Lass will be at her first show - at Rockhampton Beef Week in May 2009. Warrenbri Romeo’s Lass is by Warrenbri Warrego out of Warrenbri Pamela (Mt Hope Zorro out of Warrenbri Alexis) and Guy is extremely excited about her progress. The Heroes poem, written by Guy McLean, inspired by the tragic Victorian fires and North Queensland floods is printed in the latest Australian Performance Horse Magazine - April/May 2009. At the half way mark in the competition we were treated to some amazing feats of horsemanship by Guy McLean who rode his gelding Spinabbey. What a combination. It should be noted that Guy’s versatility saw him as a major part of every special performance at Equitana. He did his own “Evening with Guy McLean” (my special favourite at Equitana) on Thursday evening. On Friday night he starred in the Western Spectacular. Saturday night he turns his hand to some airs above the ground and high school dressage movements and on Sunday night he was part of the “All Stars Clinic”! Guy and Spinabbey gave us a demonstration of the perfect independent seat … and a rider not using the reins against the horse … or for balance. Guy did half passes, canter pirouettes, flying changes and even a canter backwards all with no saddle or bridle - what a man!